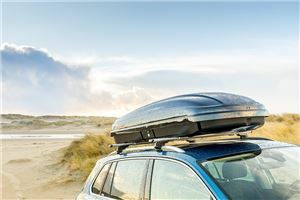 Holiday season means long journeys with a car packed to the roof, so the idea of attaching a roof box and boosting the available space is a highly appealing one. Here's our guide to the best roof boxes on the market at any price. 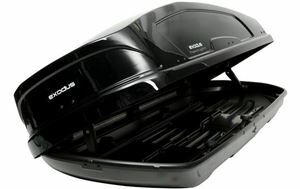 Thule are a long-established manufacturer of roof boxes and assorted carrying kit and offer a huge range of products. 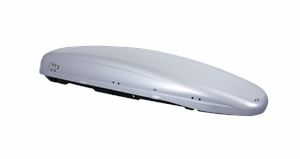 The Touring 780 Titan (also labelled Touring M) sits roughly in the middle of the range, but offers a generous 420 litres of storage and can swallow a set of skis up to 180cm in length. 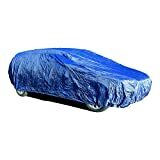 It also comes with central locking and a five-year guarantee. You might not recognise the Exodus name. That's because it's a sub-brand of Halfords, designed to compete with the flashier roof boxes you get from Thule and Kamei. 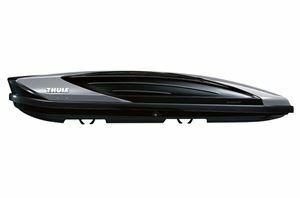 It stands up to that test too, looking sleek and attractive with its gloss finish, and can hold an impressive 580 litres within its aerodynamic shape. 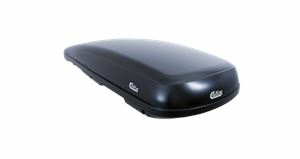 Kamei are another roof box specialist that has a huge range of models to choose from. Its 330 is designed to blend functionality and style, with the 330 referring to the capacity in litres. 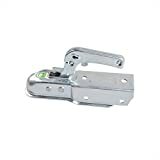 A key feature is the sliding mount mechanism that allows the box to move fore and aft for easy boot access, and being a German brand Kamei specialises in mounts for German cars. Mixing sleek design with decent carrying capacity isn’t an easy trick to pull off, but the Cerato manages it with ease. 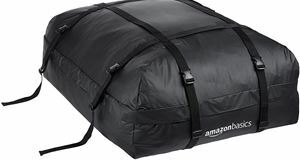 Despite its svelte looks, it can carry 480 litres of kit, and can be opened from either side - how useful. Atera’s fitting mechanism also means it can be fixed in place quickly. The Skybox is at the more expensive end of the scale but it does a good job of proving worthy of its price tag. 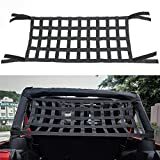 It has a good chance of looking smarter than your car, and the build quality is impressive, even though it is lightweight and a cinch to operate. The Calix is purposely designed to be long and slim, so there’s still room to fit a cycle rack to your roof bars. We're looking at you active holiday-goers. The Calix is also popular with skiers. It’s not the lightest here but it’s well-built, offers central locking and a quick-fit system, and comes in six choices of colour and finish too. 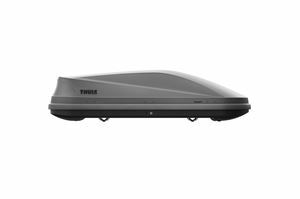 Few roof boxes could sit comfortably atop a £100,000 Range Rover, but Thule’s Excellence XT could pull it off. The two-tone exterior is super-slick and the aero design still swallows 420 litres and up to 75kg. 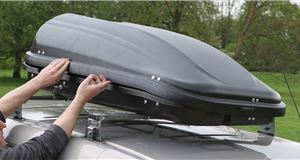 It also retains Thule’s excellent Power Click system so you can secure it with only one hand and not over-tighten. 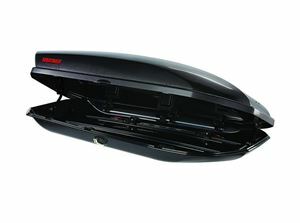 One of Kamei’s largest offerings, the Oyster, can carry loads up to 194cm long and 85cm wide, which should cover every eventuality you can throw in it. 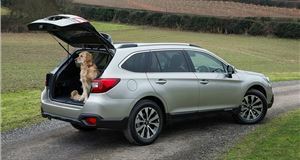 The external dimensions are only fractionally greater, and its aerodynamic design with a choice of colours should mean it won't put a hole in your fuel economy either. Like other Kamei models, the Oyster is designed specifically to suit German cars although it does offer universal fitment. INNO’s Shadow range gives you the option of three box heights with a set length and width of 200cm x 81cm (bar the shorter Shadow 14) so you can choose exactly the right shape and size for your needs. 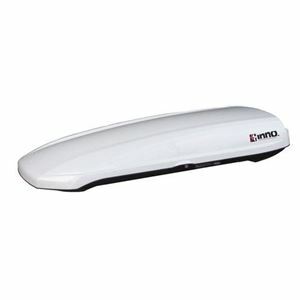 INNO boxes are designed with skis and snowboards in mind, although they can carry almost anything and come in a smart carbon fibre-effect finish. The only downside to the Calix 600 is its limited availability in the UK, otherwise this is would be out top choice. 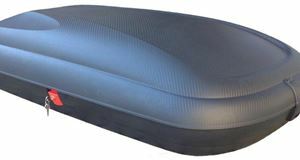 It offers the usual 75kg load capacity, but the 600 litres of volume is bigger than anything else on the market thanks to its 220cm length and 94cm width. It still manages to look smart and can handle European motorway speeds of 81mph too.